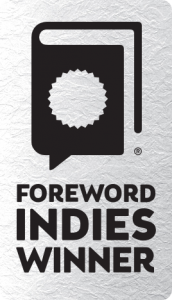 Baseball’s No-Hit Wonders: More Than Century of Pitching’s Greatest Feats, has been named a 2016 Foreword INDIES Book of the Year Silver Award Winner in the sports category! The book, with a foreword written by former Major League Baseball commissioner Fay Vincent, honors such legendary pitchers as Cy Young, Bob Feller, Nolan Ryan and Sandy Koufax, while introducing readers to other eccentrics and one-shot wonders who have thrown no-hitters. The book fleshes out the colorful characters, compelling narratives and statistical oddities from baseball’s nearly 300 no-hit efforts–as well as the many near misses that are also part of the national pastime’s storied history. The trailer tells the story of the start of NoNoHitters.com, and how it blossomed into the book published by Unbridled Books in March 2016. It features some home movie footage my dad took with an 8mm camera of Bob Moose’s no-hitter against the New York Mets in 1969 as well as my first game at Shea, a July 3, 1975, four-hit shutout by Jerry Koosman against the Chicago Cubs. Check it out, and please share with anyone who likes baseball and reading. The book is available through Amazon.com , Barnes & Noble and Indiebound now! 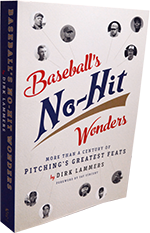 My book, Baseball's No-Hit Wonders: More than a Century of Pitching's Greatest Feats, with a foreword by former MLB Commissioner Fay Vincent, is available NOW! The book honors such legendary pitchers as Cy Young, Bob Feller, Nolan Ryan and Sandy Koufax, while introducing readers to other eccentrics and one-shot wonders who have thrown no-hitters.